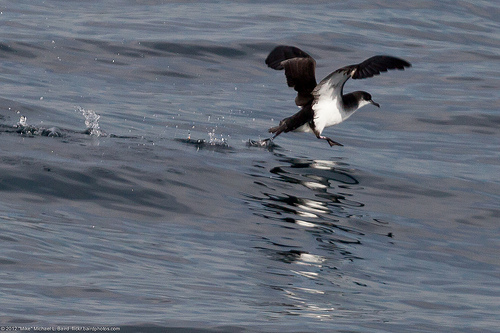 The Manx Shearwater breeds in Ireland and Britain. As a result, it can be seen on the North Sea quite regularly. But not close to the beach, it often flies farther out to sea.